Prefer a handheld mic to a headset mic? Great mic for a great price. 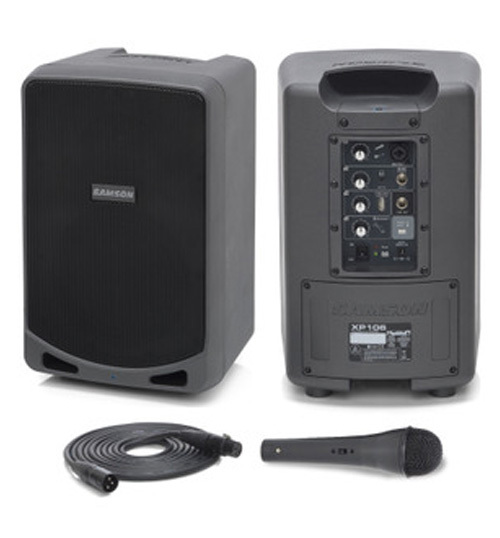 Includes the microphone, receiver, and a 1/4″ cable to plug into your system. 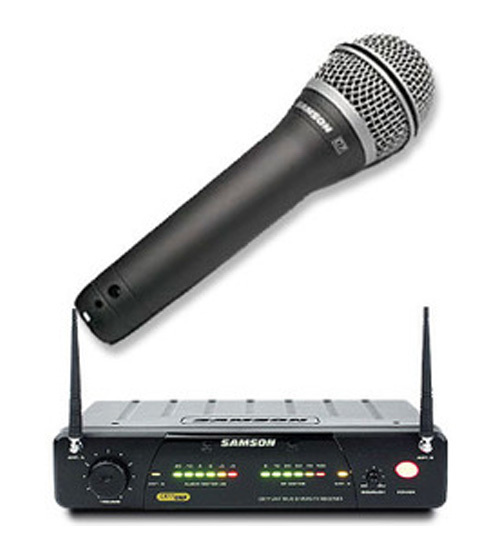 If your preference is a handheld microphone, this wireless microphone is the best quality for the best price. If you are using it in addition to a headset mic in one of our sound systems, be sure to let us know what your other mic frequency number is to avoid interference. Requires a 9 volt battery with a usage life of approximate 20 hours.